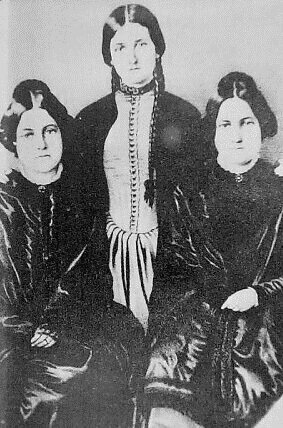 In his latest podcast at The Memory Palace, Nate DiMeo tells the story of the Fox Sisters in mid-nineteenth century America. These girls spooked their parents and neighbors with tales of communing with the dead. Naturally, this turned into a sell-out show in New York City, where the teenager sisters wowed the rich and famous with their necromantic talents. They wanted to believe. This was the 1850s — people just died all the time from diseases, minor flu and infections. Things that don’t kill us now. Their family members, their friends, their kids would die in childbirth, in accidents at work and at home, why wouldn’t they want to believe they weren’t gone? That those they lost could be found. Soon people were holding séances like we hold dinner parties. They were putting their faith in tarot readers and mystics. Some were just scam artists, others were just wrong. They were just seeing things that weren’t there. But all of them together were changing America, in the way its people thought about death and life. And this modern spiritualism… stayed at the center of American life for decades to come. Posted by Meg Holle in Afterlife, Death + Popular Culture and tagged podcast, spiritualism. Bookmark the permalink.